After witnessing Cole, a WWII fighter pilot from 1941 crashland in present-day Kansas, single mother Mary Ann and her son find themselves drawn into the work of Section 47, a secret government organization responsible for responding to Rifts that open in space and time. Cole visits his now elderly wife and gets a glimpse at his own fate as he must return to his own age before the Rift explodes, or worse, sends something else through! 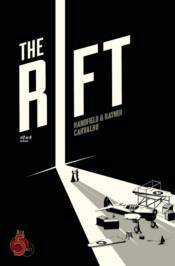 Presented by two-time Academy Award nominee Jeremy Renner, The Rift is a high concept science fiction adventure grounded in reality, focusing on character relationships and emotion.